This is my ultimate cosy outfit at the moment. 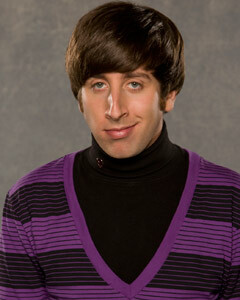 I’ve really fallen in love with layering high neck tops under slouchy jumpers at the moment (Howard Wolowitz – new style icon?) not just because I’ve decided it looks cute, but it’s also super cosy. As the top half of this outfit is quite solid, I added in the cutest floaty dark floral skirt from Ark Clothing and my sheer leggings from Black Milk to break things up a bit. They’re just so much sturdier (and therefore way more practical for a klutz like me) than regular tights, I’d really recommend them to anyone who loves the look of sheer tights but can’t stand buying new pairs every time you get a ladder! Thanks you to those of you who left closet organisation advice on my last post! It’s very nearly there now, I’m just waiting on a delivery of more hangers (how I ran out when I swear that all these clothes were originally on hangers is beyond me! ), but when it’s done maybe I’ll share it with you guys? Let me know if that would be something that would interest you! Previous Post Slashed & Slouchy. Very pretty outfit. I love the striped crop top. And, the amethyst necklace is beautiful. Loving this outfit. But man 40 bucks for sheer tights?! They better be sturdy! You look amazing as usual 🙂 I adore that top! Gorgeous! I love all of the contrasting textures and prints, you look so sassy! Really cosy outfit! The skirt and the amethyst necklace are gorgeous! Great composition & backdrop – really brings out the texture in your outfits. The shoes are really cute and your hair colour is beautiful! Is it natural? nice sweater and beautifull hair. great outfit! Your haircolour is gorgeous!